Tanasha Donna’s biggest nightmare is about to play out in the public. 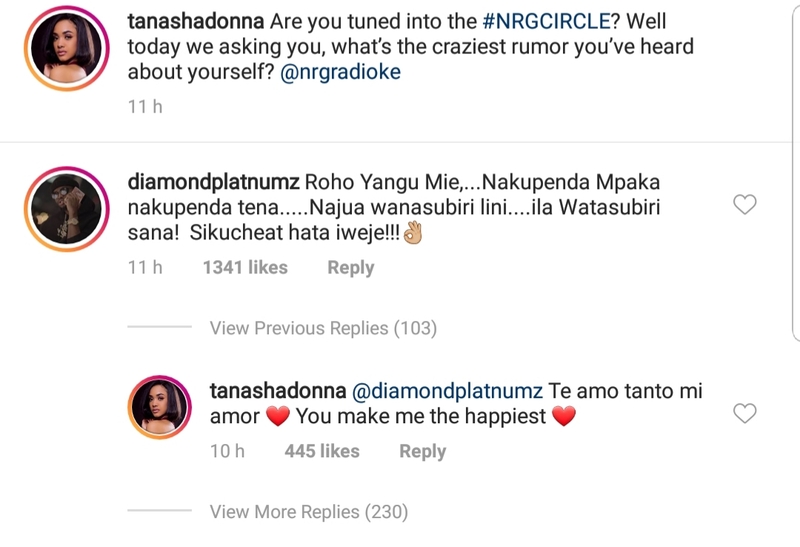 The Kenyan beauty has to deal with Tanzanian blogs claiming that Diamond Platnumz “spent” some quality time with a known socialite. The evidence of which is a photo posted up by the Tanzanian socialite only identified as Irene, in a bed that looks exactly like that of Diamond Platnumz’s bedroom. Irene shared the picture on Snapchat on a weekday, accompanied by an emoji of a monkey covering eyes. The emoji usually signifies, “See no evil”. Irene later deleted the photo. A few days after Irene’s photo was posted up and deleted, Tanasha visited Diamond’s crib in Dar es Salaam, oblivious of Irene’s visit, she took a similar photo and posted on her social media. Check out the bedroom photo showing off the similar bed design. Not so long ago, Tanasha revealed to Kiss100.co.ke that she feels insecure dating the bongo hearthrob.